Despite the miserable era that lay ahead, there were a few fine performances by such players as future California Angels' Billy Cowan (40 2B, 25 HR, .315, 31 SB and 120 RBI... An all time Derks Field record), future Chicao Cubs RF Bob Will who came the closest of anybody so far to breaking John Moskus' batting title record when he hit .370 in 1963 (He would return in 1964 and hit .364), future 12 season Montreal Expos / Chicago Cubs veteran John Boccabella, who hit 24 doubles, 23 homers and batted .226 in 1964 and future 16 year MLB veteran Cincinnati Reds pitcher Fred Norman who was underwhelming with a 2-6 record and 7.38 ERA. In 1965, perhaps the biggest talent would of the Cubs' era would come to Derks Field... though his incredible future wasn't as a player... famed Atlanta Braves Manager Bobby Cox would hit 32 doubles, 12 homers and bat .277 on his way to a fine MLB managing career. After the Cubs left Derks Field in 1965 for Tacoma's Cheney Stadium, Derks Field was unable to land another affiliate. When it was announced that Phoenix would be joining the Pacific Coast League as well as the return of Vancouver, Salt Lake's Derks Field looked to be the odd man out. 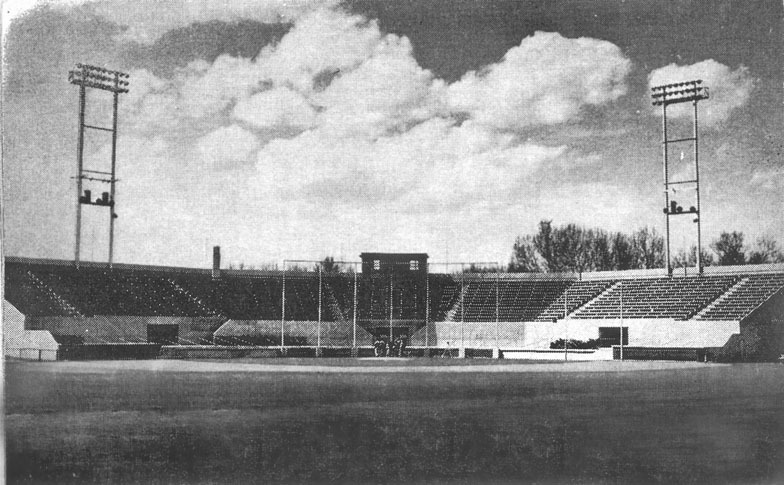 Without a team to play for, Derks Field would go dark for the 1966 season.